Many people understandably turn to Chiropractic for relief from neck or back pain. But true understanding of the power of Chiropractic care unlocks limitless potential for better health that extends far beyond neck and back relief. Nervous system care also provides immeasurable benefits for sciatica and other painful conditions that produce shock-like symptoms and physical discomfort throughout the body. Millions of people turn needlessly to dangerous drugs and surgeries to alleviate pain and symptoms because they know of no other options. Few medical doctors research or understand the benefits of Chiropractic when treating disc herniations, sciatica, or radiating arm and leg pain. Research from 2014 focused on a group of adults suffering from back pain, moderate to severe leg pain, and MRI confirmed disc herniation. The patients receiving low back adjustments from a Chiropractor achieved extraordinary results. Nearly 80% of patients reported clinically substantial improvement after one month of care. An overwhelming 90% reported substantial relief from back pain, leg pain, and disc herniation following six months of low back spinal adjustments. Millions of back pain sufferers begin using opioid drugs every week. Chiropractic serves as more than just an alternative remedy for back pain. Chiropractors assess alignment and movement of the spine, looking for problem areas that interfere with the delicate nervous system. Immobile and misalignment areas (subluxations) receive specific and gentle adjustments to improve biomechanics and communication within the nervous system. Pain relief results as one of many positive side effects of the adjustment. 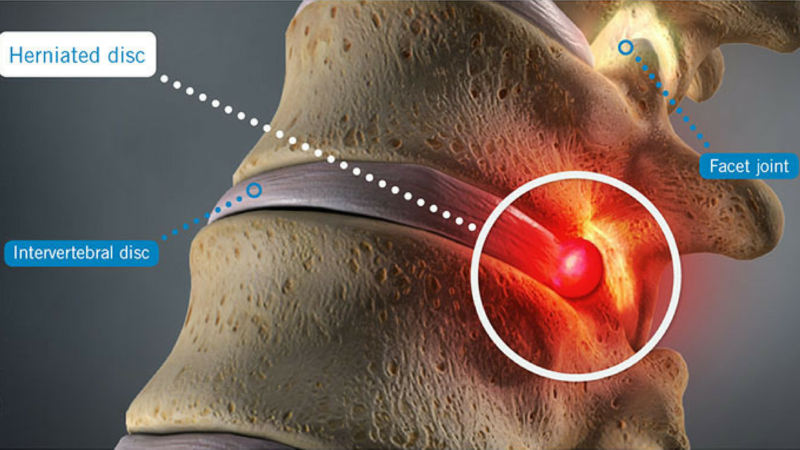 Herniated discs originate from a variety of causes. Unaddressed subluxations contribute to disc herniation. Chiropractic treatment focuses on the proper alignment and mobility of every vertebra. Reduced interference in the nervous system allows the body to better heal itself when combating herniations or pain in the back, legs, arms, or neck. Chiropractic delivers evidentiary results in an age where science and research elevate and substantiate a healthy standard of care. Chiropractic care encompasses the largest drug free healing profession in the world and continues to gain positive acclaim across the globe from millions of satisfied patients who choose to seek optimal healing in place of drugs and invasive surgeries that perpetuate pain and symptoms. Most spinal issues begin with subtle misalignments that generate no immediate feeling of pain. The spine is meant to be flexible and allow for movement of over 20 small bones. Trouble begins when any of those bones move out of alignment for sustained period of time. The onset of cavity-like symptoms form around subluxations that do not radiate immediate pain but slowly begin to deteriorate and decay the vital pieces of a fluid nervous system. Chiropractors embrace the mission of educating the world about the healing power found in an optimally functioning nervous system. Revolutionary health care exists in nearly every community through the benefits of drug free health and relief provided by the hands of Chiropractic care. Begin the road to relief today call (925) 837-5595.